Tomasz Marczynski (Torku) proved that he is still a very capable bike rider when he took his third Polish road race title. After a hard selective race, 5 riders decided the event in an uphill sprint where he beat Michal Golas (Etixx-QuickStep) and Pawel Bernas (ActiveJet). The race kicked off with numerous breakaway attempts. Those attacks led to 13-rider escape, with Adrian Honkisz, Marek Rutkiewicz (CCC), Michał Gołaś (Etixx-QuickStep), Przemysław Niemiec (Lampre-Merida), Tomasz Marczyński (Torku) and Paweł Bernas (ActiveJet) being among the escapees. 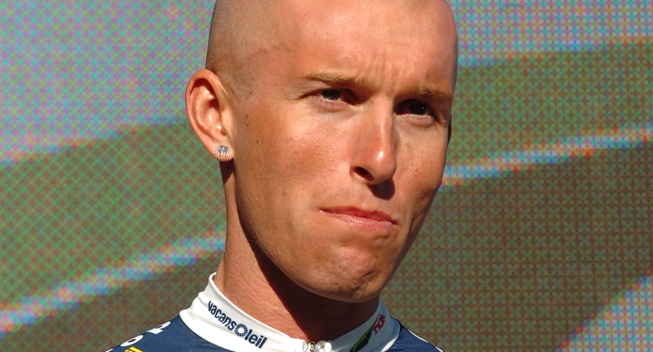 Later Tomasz Kiendyś counterattacked from the bunch with Mateusz Nowaczek and joined the leaders. The break of the day consisted of 15 riders who established a 6-minute lead. The peloton was not willing to let the attackers go all the way. 13 riders began the chase – Leszek Pluciński and Łukasz Owsian were in that chasing group, alongside riders like Rafał Majka, Kamil Gradek, Paweł Franczak and Bartosz Huzarski were among others. They were steadily bringing the gap down and with 4 laps to go it was around 2 minutes. The leading group broke apart when some riders decided to pull away. The 15-rider group was whittled down to 10 but CCC still had the numerical advantage with Rutkiewicz, Kiendyś and Honkisz. On the penultimate circuit Łukasz Owsian, Majka, Huzarski, Franczak and Gradek bridged across, creating again a 15-rider breakaway. In the last 18-kilometer lap, Marek Rutkiewicz launched an attack with Michał Gołaś, Tomasz Marczyński, Bartosz Huzarski and Paweł Bernas. They built up 40-second lead and made it to the finish. In the hard, uphill sprint Tomasz Marczyński was the strongest. He outsprinted Michał Gołaś and Paweł Bernas. Marczynski won't get many chances to show his new jersey at the highest level as his Torku team rarely races in the big events. However, he may get selected for the Polish national team for the Tour de Pologne where he will get a chance to show himself on the biggest scene.